Who is Ida B. Applewood? She is a fourth grader like no other, living a life like no other, with a voice like no other, and a family like no other, and her story will resonate long after this audiobook has ended. How does Ida B. cope when outside forces--life, really--attempt to derail her and her family and her future? She enters her Black Period, and it is not pretty. But then, with the help of a patient teacher, a loyal cat and dog, her beloved apple trees, and parents who believe in the same things she does (even if they sometimes act as though they don't), the resilience that is the very essence of Ida B. triumphs . . . and Ida B. Applewood takes the hand that is extended and starts to grow up. 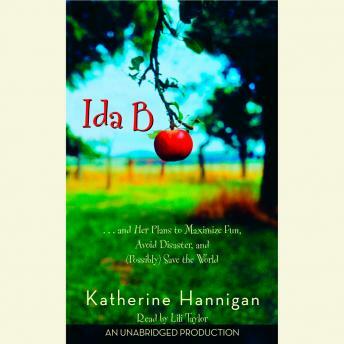 This first novel is both very funny and extraordinarily moving, and it introduces two shining stars, author Katherine Hanningan and Ida B. Applewood.